These days, the catchphrase on every parents’ minds and many educators’ lips is to “future-proof” our kids. Hence, in this post, we want to share with you the activities you can implement to stimulate your child’s creativity. Creative people find ways around obstacles. They see hurdles in school, work or life as challenges to overcome and even opportunities to change their paths To be creative is to use our imagination, to be resourceful and to come up with inventive ways of doing things or seeing things. Creative people are more adaptable as they can adapt their thinking to allow for uncertainty and see options. So, what is creativity? You are creative when you make something new or do your own version of a thing. Creative activities allow you to use your imagination and express your individuality. 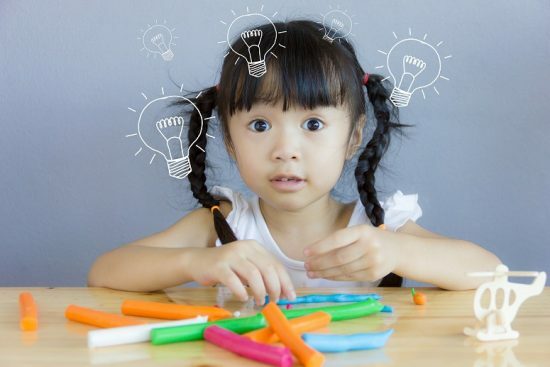 For young children and students, creativity helps them to be innovative and encourages them to learn new things – an important premise to encourage a positive learning attitude. Creativity also encourages self-expression, which allows children or students to celebrate their own uniqueness and diversity. 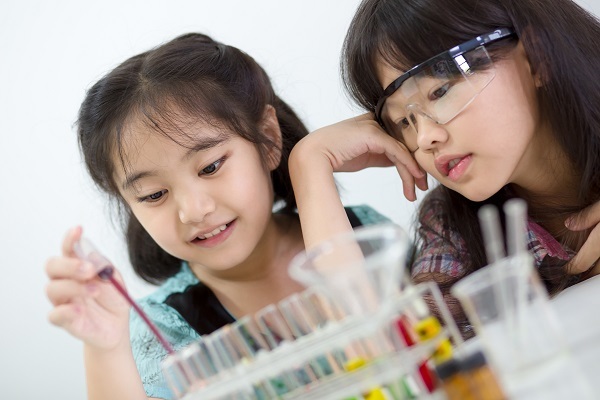 Allow the kids to realize their mistake/misstep to encourage natural curiosity. Encourage “brainstorm” sessions to foster different ideas. Celebrate their creativity and innovations. Here are some easy activities that you can do with your kids to encourage creativity. Colored pencils, crayons, paints and empty pieces of drawing paper are all you need for creative art. Allow your toddler the space and freedom to splash on colors on their wall or paper canvas. Watch your preschoolers blossom from random coloring to doodlers with good from. Music is a good accompaniment for creative art. Empty cardboard boxes can be transformed into rockets, playhouses and anything that your child can imagine. Recycle water bottles or cardboard rolls can be used to create innovative toys. Another great idea for an easy DIY project is to create a puppet theater as well as the puppet characters. You and your kids will have hours of fun, not to mention the creative stories that will flow from the theater. Begin with simple science experiments like finding invisible messages with invisible ink or experimenting with different texture of slime. Show your child the crystallization process or teach them how to make homemade bubbles will enhance their natural curiosity and encourage them to explore their natural habitats. 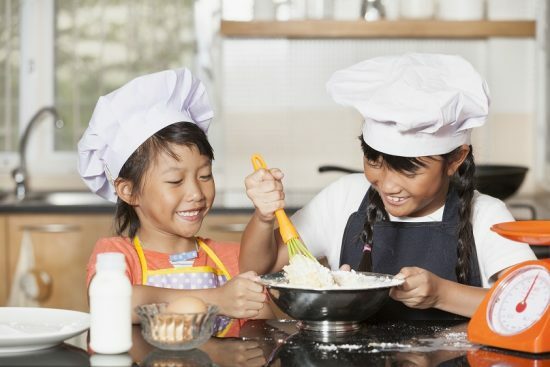 Cooking activities help children develop pride and confident in their skills and abilities. This bonding activity is also helpful in developing your child’s small muscle control and hand-eye coordination. Simple recipes that your little one can do include making salads, the dough for pizzas or even putting together sandwiches.